Next time you attend one of the talks or displays regularly hosted in the Dulcie Hollyock Room in the University of Melbourne Library, you may be intrigued to muse upon an unexpected link to the world of romance. 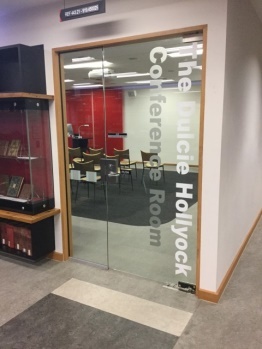 This conference room, located on the ground floor of the Baillieu Library, is named in honour of admired librarian, educator and writer, Dulcie Iona Hollyock (an English surname with unusual spelling, historically associated with Leicestershire). Born in Essendon in June 1914, Hollyock graduated from the University of Melbourne in the 1940s with degrees in arts and education. After quickly advancing within the library profession, she combined a long and respected career as Chief Librarian of the Victorian Teaching Training Colleges (1950-1974) with a natural flair for writing. Hollyock’s compact but impressive body of published work ranged over several genres – education, history and fiction – her talents receiving recognition as winner of the Society of Women Writers’ annual short story prize in 1972. Her stories and articles – such as ‘Fish at Fergus’s’, ‘Cathy and Lizzie’, ‘Flight’ and ‘Mary Curley at Sullivan Bay’ – appeared in a variety of periodicals, including the The Australian newspaper, popular weekly women’s magazine, New Idea, and the Society of Women Writers’ occasional anthology, Ink. Perhaps the pinnacle of Hollyock’s writing success was attained in her 70s, when two novels – both set in 19th century Ireland – were published in the Harlequin Books Gothic Romance series. 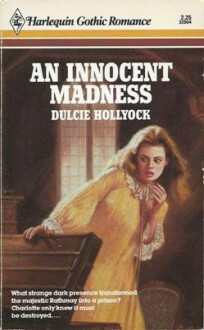 The first, An innocent madness (issued July 1984) tells the story of the inexperienced Charlotte Bolton who arrives at the ancient manor of the Chivers family to marry the heir, Richard. She is startled to find that he protests no knowledge of the betrothal, and that their courtship is hindered by the ethereally beautiful apparition, Nell Dillon. 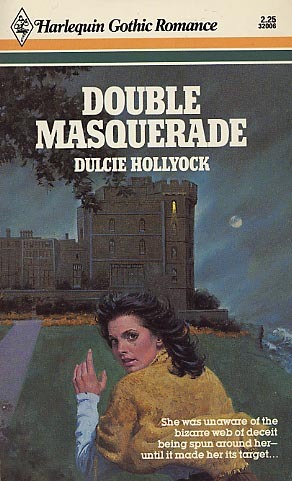 This tale of impeded love was followed in the next year by Double masquerade (issued September 1985). This time Hollyock’s heroine is Hannah, foster daughter of a poor family who are evicted from their land during the Irish Famine. The girl seems to be rescued from her deprived situation by the wealthy Richard Ralston, who installs her in his romantically named Gothic mansion, Balaleigh. The tantalising secret to their fate is contained within a golden locket which had been given to Hannah by her birth mother long before. It is interesting to reflect on St Valentine’s Day if it is mere coincidence that both male protagonists in Hollyock’s novels are named Richard, and whether the name had an association with Hollyock’s own family, or perhaps an admired acquaintance. Such musings are, however, speculative, and to find out whether the Richards in her stories prove dastardly or honourable, you will need to devour the suspenseful endings in the Baillieu Library. The books can be reserved for viewing in the Reading Room by placing an order via the Library catalogue, though you may need to be quick to be at the head of the queue! Should your romantic appetite be whetted by Dulcie Hollyock’s imaginative legacy, there are some 3,000 further titles to choose from in the Baillieu’s Romance Fiction Collection. Read more about these stories by Australian, New Zealand and overseas writers, published by Mills & Boon, Silhouette and other specialist publishing houses in our explanatory guide. Who would have supposed that so much romance was waiting to be found in the Baillieu Library! Flesch, Juliet (compiler). Love brought to book: a bio-bibliography of 20th-century Australian romance novels. Melbourne: National Centre for Australian Studies, 1995. Hollyock, Dulcie. Double masquerade. Toronto : Harlequin Books, 1985. Hollyock, Dulcie. An innocent madness. Toronto; New York: Harlequin Books, 1984. Lindsay, Hilarie (editor). Ink no. 2: 50th anniversary edition. Sydney: Society of Women Writers, 1977.